During this phase, parties from all sides of the issue will have the opportunity to respond to comments from the first phase. The reply comment period is crucial to giving the FCC a full understanding of the positions on the issue, and will allow commenters to address issues they missed in their initial filing. You can refer to arguments made by supporters of the open internet and point out things you agree with. our own filing check out this filing submitted by musicians from DIY upstarts to arena-rockers, and all those arts and culture organizations. You don’t need to restrict yourself to replying to just one comment; you can refer to as many as you like. Additionally, you still have the opportunity to raise new arguments about why the open internet is important to you, as a musician, as a consumer, or just as a citizen. They’ll be considered as well. Comments can be submitted electronically either through the FCC’s webform or via an email to openinternet [at] fcc [dot] gov. Alternatively, for those who are in the vicinity of an FCC office, physical copies can be hand-delivered directly to the FCC. FreePress will also be collecting your comments here. These roundtables are open to the public and will also be streamed live at the FCC’s website. There won’t be an open microphone, but the FCC will be taking suggested questions in advance and during the roundtables via email (roundtables [at] fcc [dot] gov (subject: Question%20for%20Open%20Internet%20Roundtables) ) and Twitter using the hashtag #FCCRoundtables. You can visit the FCC’s website for further detailed information about the first and second series respectively. If you’re in DC, you may also want to attend a rally outside the FCC during the roundtables. Representatives of a diverse array of groups will thank the FCC for continuing to solicit public input on the issue, but also emphasize the importance of getting outside of the beltway. We’d like to see FCC commissioners talking face to face with citizens (including musicians, songwriters, and indie labels) all over the country, and hear straight from the source why Net Neutrality is so important, and why Title II is the way to acheive it. On Wednesday, the Senate Judiciary Committee will hold a hearing entitled Why Net Neutrality Matters: Protecting Consumers and Competition through Meaningful Open Internet Rules. The hearing will start at 10.30am and FMC will be covering it live on Twitter so be sure to follow us for updates through @future_of_music. You will also be able to watch live at the Committee’s website. You can expect that the hearing will include discussion of the Online Competition and Consumer Choice Act, introduced in in July. As on Tuesday, hese roundtables are open to the public and will also be streamed live at the FCC’s website. Suggest uestions in advance and during the roundtables via email (roundtables [at] fcc [dot] gov (subject: Question%20for%20Open%20Internet%20Roundtables) ) and Twitter using the hashtag #FCCRoundtables. You can visit the FCC’s website for further detailed information. FMC will be on top of all these events and sending updates throughout the week through Twitter and Facebook, so that those interested in preventing the enactment of a “two-tiered internet” will not miss any details of what is discussed. 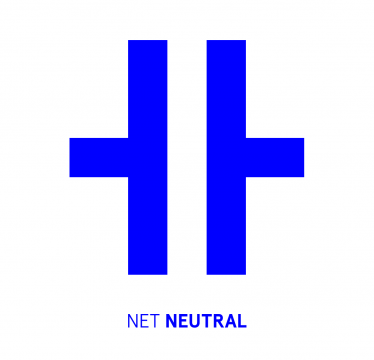 Net Neutrality image by Jona Bechtolt.